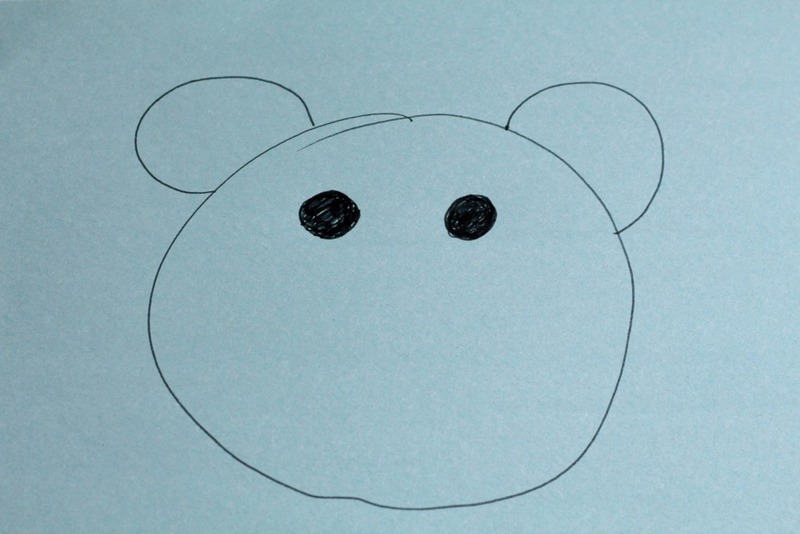 Before giving the construction paper to each child, draw the outline of a bear’s face, ears, and eyes onto the paper. Make one piece of paper per child. 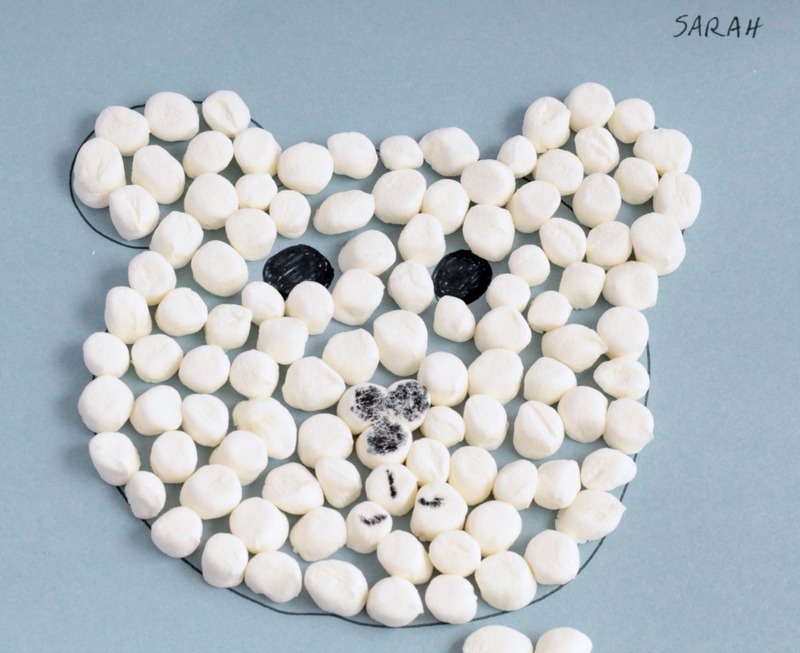 If you don’t want to have to use a lot of marshmallows, make the bears a little smaller than in our example. 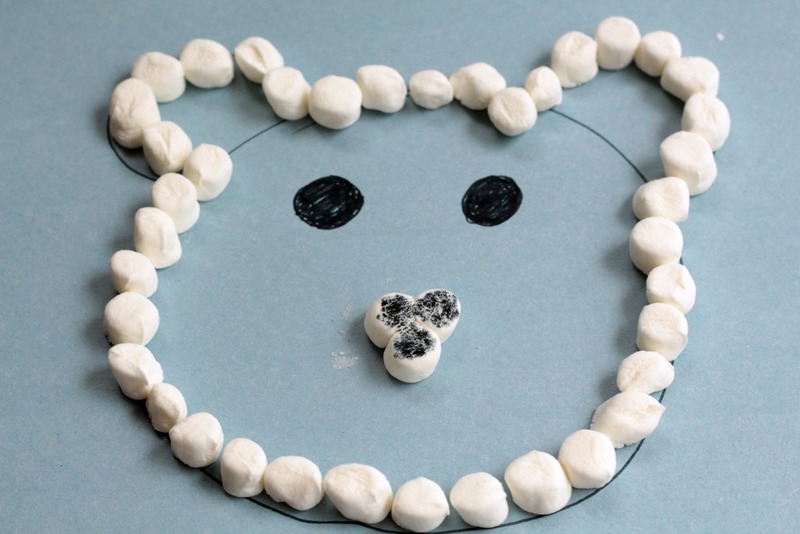 Show the children how to add glue to one side of the marshmallow and stick it onto the bear. We started by adding three marshmallows in the center to make a nose. We colored our nose with a washable black marker. Instruct the children to outline the bear’s ears and head before moving on to fill in the rest of the face. Kids will be happy to continue to fill in the bear’s face with marshmallows. Remind the kids that the marshmallows cannot be eaten once they are glued. 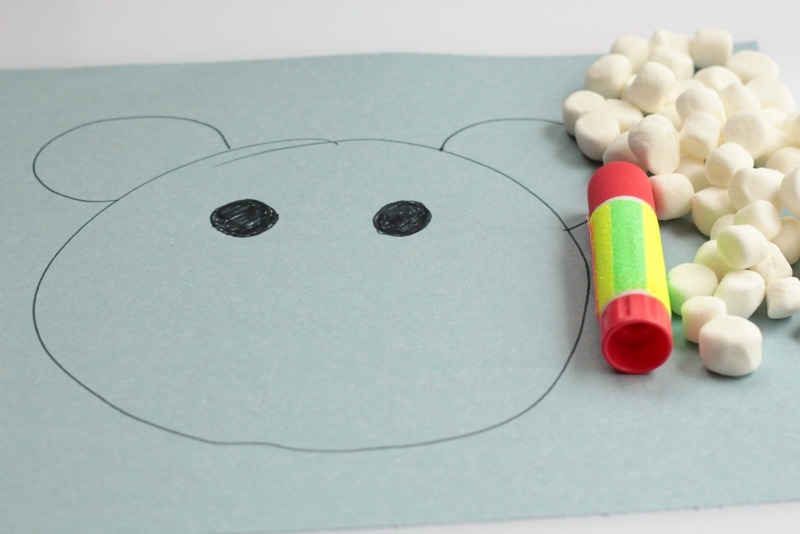 You may want to provide little cups of marshmallows that the kids can eat while they are doing this craft to keep them from trying to eat the craft supplies. 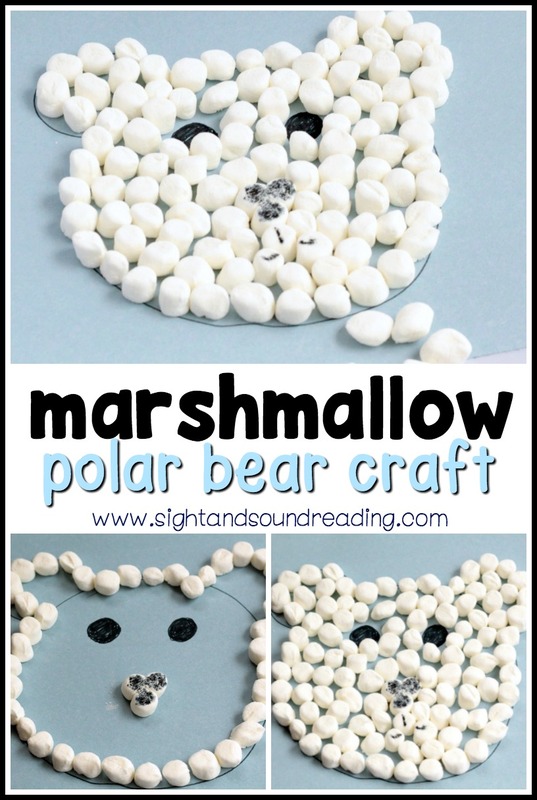 It takes just a few minutes of gluing to complete the marshmallow bears. Let the bears dry completely before picking up the paper or the marshmallows will fall off. The heavy marshmallows will stick once the glue dries, but they are too heavy for wet glue. If you have time to let the bears dry overnight, school glue provides a stronger hold than a glue stick. I truly had fun making this in time for my library program! !